Finally, the monster guest post is done. You’ve crafted a magnetic headline, nailed the opening, slaved over each word, and polished the piece until it sparkles. Time to sit back and watch your business explode. But alas, the only bang you hear is the pop of your swelled balloon of expectations. To make matters worse, you spent a couple of hundred bucks on a blogging course that promised to crown you king of the online world. Not only that. It took you several months to land the guest post, to begin with. Answer: You botched your author bio. Your byline, those few lines of copy you gloss over, is a marketing superpower. It’s the missing sprocket in your otherwise laudable blogging efforts. 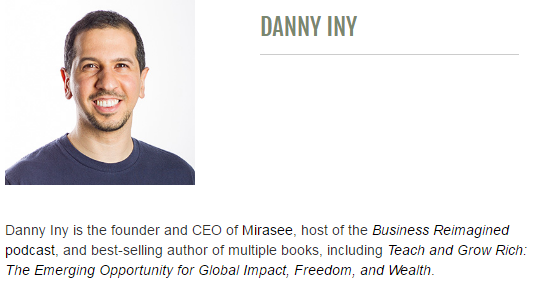 It’s the unsung hero that helped Danny Iny explode his list and influence during his guest blogging frenzy. This guest blogging blitzkrieg earned him the undisputed title of Freddy Krueger of Blogging and opened amazing doors for him in his early days. Things are about to change for you, too. To free you from the agony of non-converting guest posts, I’ve crafted this in-depth step-by-step guide to help you write and optimize every line of your byline so you grow your business. Just like Danny. Sounds good but, I can hear you doubting… do folks scroll so far down the page anyway? Quick Sprout stats revealed that the bottom page call to action got 39% more clicks than the middle one. The point: a few engaged red-hot readers read all the way down a page. And they’re just the kind of prospects you want in your funnel. Sidenote for blog editors: If you accept guest posts, give author attribution both on top and at the bottom of their piece. Your writers will get more value from their labor of love and adore you for it. They’ll produce more stellar content for you—a win for everyone involved. Friend, you can’t afford to treat your byline as an afterthought anymore. Your byline, if well-crafted and optimized, is a virtual ad that grows and markets your business day and night. Boosts your list. By linking to a lead magnet landing page, you can get tons of precious signups. Builds your authority. It points to your expertise, experience, awards, and achievements thus establishing your authority in your niche. Brands you memorably. It states your unique mission with precision and distinguishes you from thousands of other bloggers out there. Bonds you with prospects. With myriad businesses to choose from, clients want to work with people who are not just skilled but personable as well. Done well, your bio provides that personal spark. Brings you sales. It generates sales by linking to a landing page marketing your services or products. That’s a pretty handy list of benefits, don’t you think? But before you dash off to cobble up a byline, realize there are pitfalls along the way. Most online marketers have a one-size-fits-all bio they use for all their digital pieces. Being generic reduces your chances of connecting with your audience. To become more relatable and connect better with your tribe, fine-tune the bio for each piece you write. For instance, when writing for a parenting site, talk about your kids; you’ll connect better with your readers. While having a boilerplate byline helps, always tweak it to align more with the piece you’re writing and the people you’re writing for. You’ll get better results. A bio without a profile picture is like a cocktail party with no drinks. By not including your picture, you’re missing a fantastic opportunity to make a positive first impression on your audience. 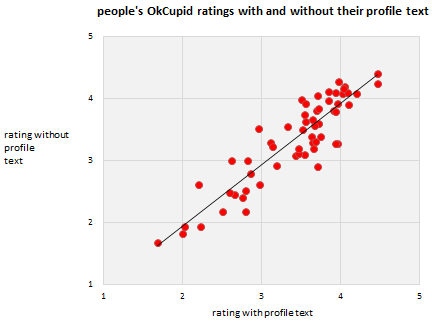 A study on the relationship between words and pictures in profiles by OkCupid, a data-loving dating site, concluded that your picture matters more than your words. Their key takeaway: Text accounts for less than 10% of what people think of you. Sure, this data is from a dating site where looks play a bigger role in the scheme of things. Still, that doesn’t detract from the main point of the survey: Looks matter—a lot. Whatever you do today, go and remove those trust-killing avatars and sketches from your profiles, they’re hurting your business. Upload a photo instead. You’ll thank me later. More about your headshot later. Now that you know how profitable an optimized byline can be and what common mistakes to avoid, let’s move on to how to write one. Say who you are in a snappy engaging way. State who exactly you serve. Remember, as you answer these questions, it’s not just about you. It’s about your audience, or more specifically, the value you provide for them. It’s. Not. A. Biography. Okay? Assuming that your bio is a compressed resume all about you. A bio is a tiny, but powerful, key to your marketing. 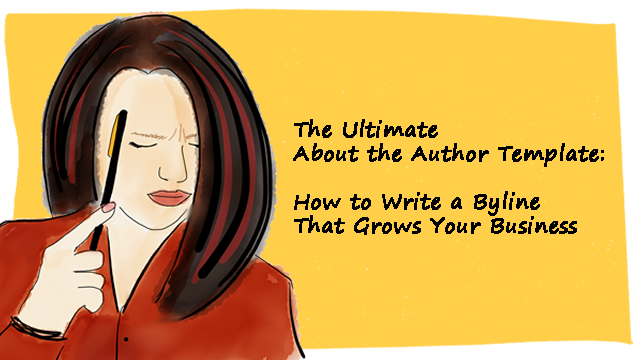 Think of it as an elevator pitch in a couple sentences—it’s all about why your reader should care about you. So show them the problem you solve for them. Drop the titles, degrees and laundry list of things you have done. Stay focused on what you do for them. Takeaway: think reader-first in everything. Who are you? 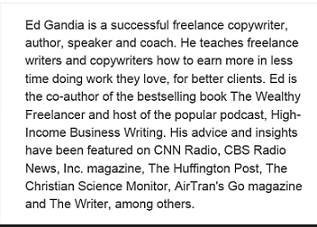 > freelance copywriter, author, speaker, and coach. What do you do? > teach freelance writers how to earn more in less time. Who do you do it for? > freelance writers and copywriters. Why should I trust you? 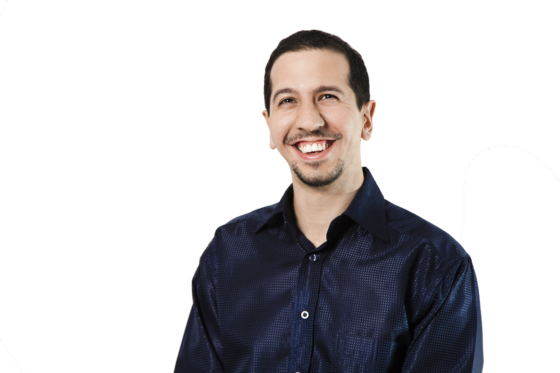 > author of bestselling book The Wealthy Freelancer, host of the popular podcast, High Income Business Writing, and has been featured on CNN, CBS, Inc Magazine, etc. Before you write a word, choose your point of view: third person or first person? The first person approach is more conversational while the third person makes it easier for you to write about yourself and your achievements. Once you’ve settled that matter, you’re ready to get into the major elements of a great byline. Let’s dig deeper into each aspect. You remember the famous marketing mantra, don’t you? 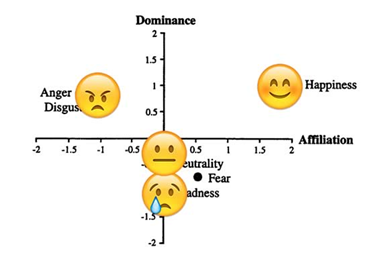 Online, people are distrustful because of unending scams and predatory cyber terrorists. Once people see your face they feel like they know you in person. They’re more likely to connect with you as your picture makes them feel safe. Experts agree: pictures of people are good. Looking at someone else, even in a photo, evokes a positive physiological reaction of attraction, understanding, or identification. It’s natural. People look at other people and, as a result, engage or identify with them. People will then trust you and do business with you once they see what you look like. This byline is all about the smashing smile… warm, radiant, inviting. Tell me, who wouldn’t want to work with this guy? Well, that’s the whole point ?. A confident smile is part of the architecture of a powerful profile picture. Alongside your picture is your personality since no one has a face like yours. Dullness is the bane of most bylines. The majority read like they’ve been spit off the same gobbledygook writing machine. They lack personality and verve—key attributes of making a true human connection. Just like an authentic brand should be. Copy is what sells at the end of the day. It is the voice of you or your brand entering a direct conversation with your prospect or customer. See, here’s what’s true for all of us: People want to buy from people. Not websites. So the way you speak and interact with your clients DOES matter. No personality equals no emotion. No emotion equals no reaction. No reaction equals no action. And no action taken equals zero sales for you. Takeaway: Personality is a brand value that translates to dollars. Ever heard of the first rule of copy? Even if you have, time for a reminder. The foremost golden rule of copy which attracts and converts is: Be clear. Clarity springs from specificity which leads to better conversions. Also, specificity fosters engagement and captures the unique value you provide. Peter Sandeen provides us a great example of specific writing that shows how people benefit from doing business with him. Peter is all about value proposition and sales. That comes out in his copy. Don’t use blanket terms to describe who you are and what you do. Don’t say: I coach business owners. Say this instead: I coach solopreneurs who are overwhelmed by the many hats they’re forced to wear to keep their businesses afloat. Then your ideal prospects will be inclined to check you out. Name recognition means how aware people are about your unique brand. How can you boost your name recognition, authority, credibility? Your author bio is a big chance to establish your authority by pointing out your achievements so people do business with you. Please note: I’m referring to professional feats so your record League of Legends score doesn’t count (*coughs). Have you written a book? That’s gold… put it in there. Have you won an award in your industry? Thump your chest. Have you been featured in popular blogs? Honk your horn. Have you spoken at an industry conference? Let the whole world know. Do you have decades of experience in your niche? Toss it in. Maybe as a decent human you’re concerned that talking about your successes may be misread as shameless pride. I get your point—it’s a valid concern in an age of hype and over-the-top marketing. But hear this: it ain’t bragging if you’ve done it. As long as you say it from the depths of your genuine heart as a way of serving your audience and showing the solution you provide, you’re okay. You’re still on the straight and narrow path of ethical marketing. Note how he leads with an impressive list of the huge publications he’s written for. He positions himself as a big-gun freelancer and blogger worth paying big bucks for. His strategy works because, in only a year, his business shot to six figures. And it was a side gig. Too many guest posters treat their bylines as an afterthought (or just use them as a chance to shamelessly brag). A small tweak with the reader in mind can go a long way. Last year I added this line—“Grab his Ultimate Content Creation Checklist”—immediately before the link to my website and saw my opt-in rates from referral traffic on guest posts double. It’s a small addition, but it lets anyone who clicks through know what to anticipate. In fact, I don’t even send them to a landing page; it’s just what my welcome overlay offers. The other thing is to keep up on your byline. If you’ve written for numerous publications, it’s probably time for byline audit. The difference in performance will amaze you. You should have an overarching conversion goal for every piece of content you write which shapes everything you do, including your call to action. Don’t be greedy when it comes to your CTA. You’d think it’s the place for you to frontload all your social media links, latest offer, and freebie. You’re better off focusing on one CTA (which you can repeat). 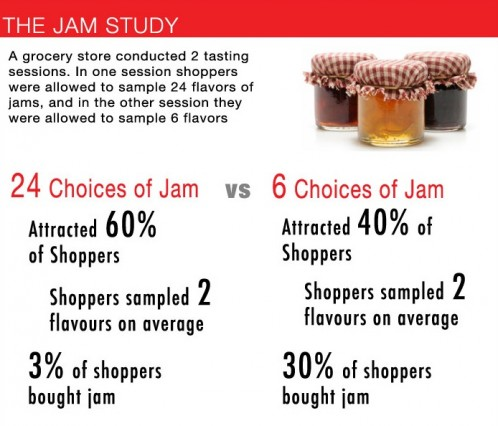 Too many options cause your reader to freeze in inaction because of too many choices as this classic jam study shows. Conversions increased a whopping 10x when options were reduced. So, when it comes to your call to action, less is more. One or two links is enough. Anything more and you decimate your conversions. Your CTA doesn’t exist for its own sake. It’s meant to take warm targeted traffic to your offer. You make the offer on a dedicated landing page, a special page that catches or receives targeted traffic. Don’t blow all your hard work by taking traffic to your homepage. See the neat job Henneke does below. 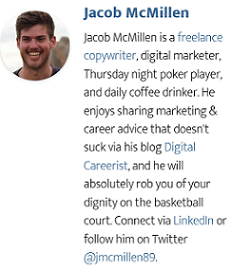 This bio on a guest post…. Notice the one call to action on her byline? No shiny objects like social media buttons to distract her readers’ attention. Her one goal is landing course signups and the link takes readers straight to the signup page. This landing page converts at an amazing average of 49.6% and goes up to 59.6% depending on traffic source. Want these kinds of results? Just work on the harmony between your byline and your landing page. Ideally, you have only one call to action that’s related to the post you’ve written—you invite readers to take your relationship one step further, and you promise them you can help make their life a little better. Takeaway: Be fascinating, reader-focused, and have one CTA. While people adore heroes they connect with ordinary people who are like them. To become relatable, share common everyday things people identify with. Talk about your pets. Mention your passion for baking. Speak about your naughty kids or favorite sports team. All these are connection hooks you can use to draw your audience towards you. Daniel projects himself as a family man who loves his wife and kids with whom he vacations. Straightaway, you sense the warmth of a regular nice guy you can have coffee with. On the flip side, people warm up to people who are unlike them, because they themselves are unique. Talk about a quirky habit of yours or a strange talent you have. Share something interesting about you even if it seems trivial. For some sizzle and final flourish massage humor into your copy. Not just to get people laughing but because humor is a business asset. Humor is the shortest distance between people, an instant relations builder. That’s an invaluable selling tool you can use to endear yourself to your prospects and clients. To maintain your dignity, keep your friendship with Jacob off the basketball court ?. Infuse humor into your copy, even if you’re a serious no-nonsense kind of person. Your byline—and business—will be better for it. Now, let’s distill everything into an easy 9-step process. To do so, we’ll help Nancy Gogetter, a fictitious writer coach, write a killer byline. Step 1: For which piece of content do you want to write the bio? Nancy replies: My guest post 3 Costly Mistakes Newbie Freelancers Make (And How to Fix Them). Step 2: What point of view do you want to write in? Step 3: Who are you professionally? Nancy writes: Nancy Gogetter is a newbie freelance writer coach. Step 4: Any professional accomplishments? Nancy replies: I’m the author of Freelancing Made Easy. Step 5: Who do you serve and how? Nancy replies: Newbie and aspiring freelancers. Nancy writes: Her mission is to help new and aspiring freelancers overcome their doubts, gain confidence and take the first steps towards their writing dream. Step 6: What’s your goal for this piece? Nancy replies: To grow my list by getting readers to download my lead magnet. Nancy writes: To learn how to make your first online dollar grab her guide 7 Fatal Mistakes Newbie Freelancers Make absolutely free. Step 7: Any spicy tidbits you want to add? Nancy replies: I revel in fine food and drink. My mom thinks I’m cute, you know. Nancy writes: A self-confessed foodie (and adds the phrase as a suffix to her mission statement in step 5). She inserts the phrase ‘…a gorgeous (at least her mum thinks so! )…’ in the middle of her first line. Nancy Gogetter is a gorgeous (at least her mum thinks so!) newbie freelance writer coach and author of Freelancing Made Easy. A self-confessed foodie, her mission is to help new and aspiring freelancers overcome their doubts, gain confidence and take the first steps towards their writing dream. To learn how to make your first online dollar grab her guide 7 Fatal Mistakes Newbie Freelancers Make absolutely free. Now Nancy can go play. She deserves a rest, doesn’t she? She has to work on one final piece otherwise all her sweat goes down the drain. Step 9: Where are you taking the traffic? Nancy replies: My landing page where they’ll download my freebie. Starting a freelance career is hard. Not only do you have lots of things to learn, they’re many pitfalls to avoid. Because her message is consistent across her article, bio, and landing page, Nancy should get tons of warm targeted leads. And convert a couple into coaching clients. Takeaway: Crafting your bio with care boosts your bottom line. Don’t leave money and influence on the table by treating your byline as a do once set-and-forget business card. Enough theorizing. Time to get your hands dirty. You’ve got everything you need to spruce up or redo your byline so you reap its awesome marketing benefits. There’s no excuse now not to have a bio that builds your business. Pick one of these five ingredients and bolster your bio. Go pack a punch through your potent content tailpiece. What does your bio look like? Paste it in the comments and I’ll help you improve it. 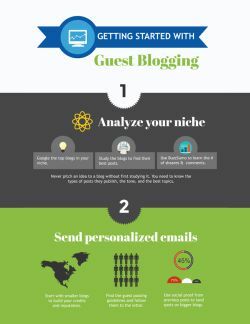 Use this handy guide to get started with guest blogging! Qhubekani T Nyathi a.k.a. The Click Guy is an irresistibly handsome (wife’s baseless claims!) cause marketer and Christian market content strategist. He’s called to help social good-driven brands push impact over income and achieve lasting change through their unique mission. Check out his deluxe bio and landing page service to maximize gains from your content and grow your business. The goodies of nice bios are not really heard because most marketers ignore it or maybe don’t know it’s true importance. Wished this post came in a few hours earlier LOL. Just last night, I submitted my first guest article for approval. Spent about 15 minutes in writing my bio. Was a bit overwhelming cus I was hurrying to beat the deadline. Thanks for the article, Qhubekani! Wow! I have just graduated from the school of bio writing. Thank you Qhubekani for this thorough and very educational piece. I, like many, used to treat my bio as an after thought to talk about myself. Little did I know that it’s such a valuable business asset. I’ve got some bio homework to do. This time my bio will definitely pack a P.U.N.C.H! Glad you found the piece useful Kato. Now go and do your homework ? Glad you found the post useful Kato. Lemme just echo what’s already been said: WOW, awesome, and (my own) … epic. This is THE definitive resources I’ll be turning to and sending writers to from now on (and not just ’cause you were kind enough to include me). Seriously good work! Can’t wait to see what you cook up next, QT. I’m humbled by your remarks Aaron. Hope the writers you send here get the help they need to maximize gains from their content. Writers work so hard crafting great content so they deserve better. Sorry the post was a bit late for you ?. Knowing what you do now, how would you have tackled it? Why not rewrite your bio and come back here to show us the before and after. 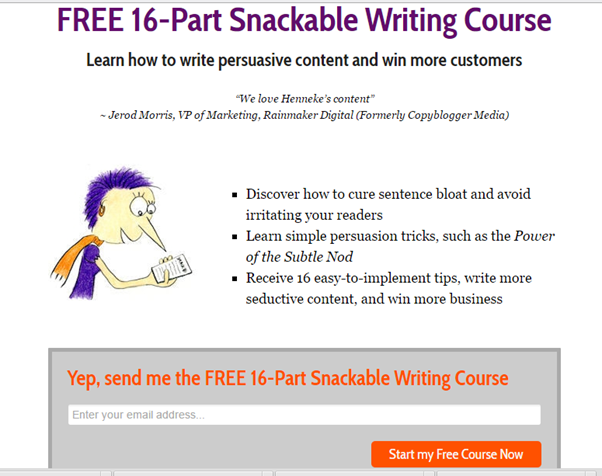 Then you’ll have a new optimized one ready for your next guest post. Solid insights! To add one more, bylines are a great place to link to a primary service page you are hoping to rank in search. It can be really challenging to rank service pages over blog posts, but including a back link to my main service page in every byline is one of the biggest reasons it’s ranking front page for 40+ keyphrases. Again, great post, and thanks for including me! Thank you Jacob for your genius tip of linking to a services page so as to rank higher for ones desired key phrases. Pity you decided to share it with the whole world instead of whispering it to me first ?. Anyway, it shows what a generous human you are. Learn how to generate traffic on your site with guest blogging!